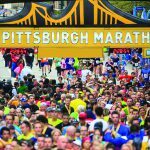 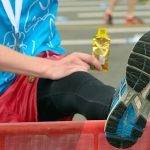 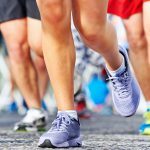 Are you running the Pittsburgh marathon on May 4 and interested in learning more about running and nutrition? 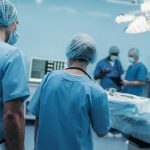 Join UPMC experts tomorrow for a live video chat on the topic. 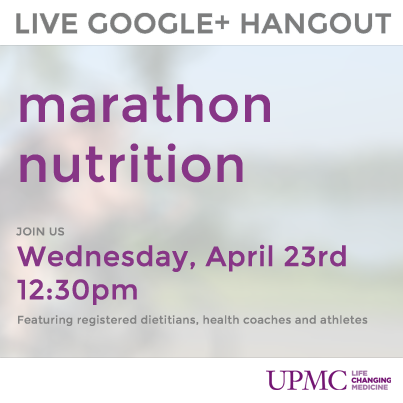 Led by UPMC Sports Medicine nutrition director Leslie Bonci, M.P.H., R.D., experts and bloggers will share their best nutrition tips, offer personal advice based on past race experiences and answer live questions from the audience. 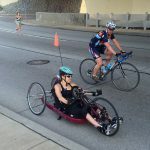 Click on the graphic below to get to the chat.